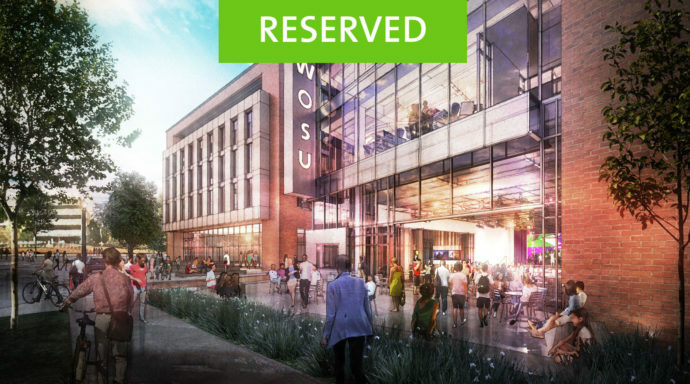 The new WOSU headquarters will be a catalyst, convener, and collaborator for WOSU, The Ohio State University campus and the greater central Ohio community. 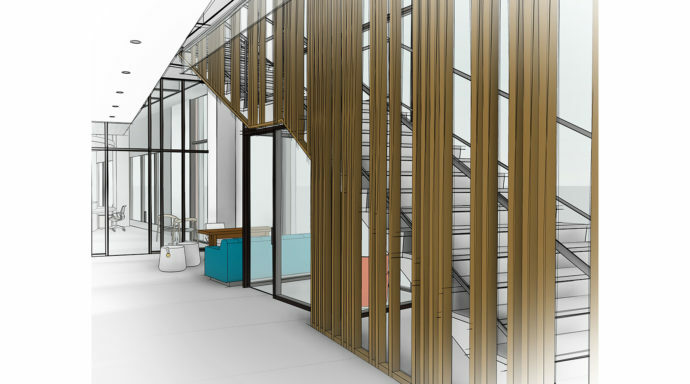 The dynamic 2,200 square foot flexible public engagement space designed to host more than 200 community events annually. 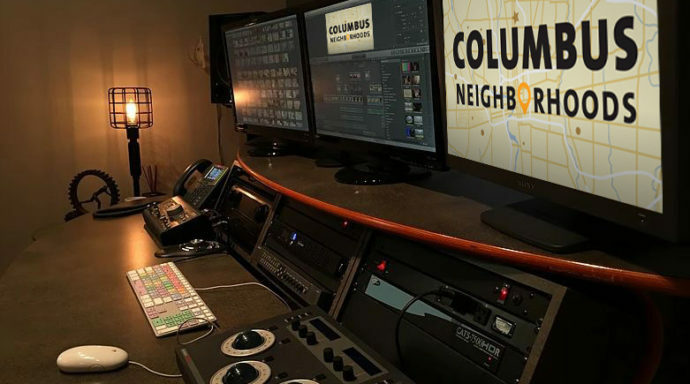 The 2,700 square foot home to WOSU TV includes production of our weekly programs, In The Know and Columbus on the Record. 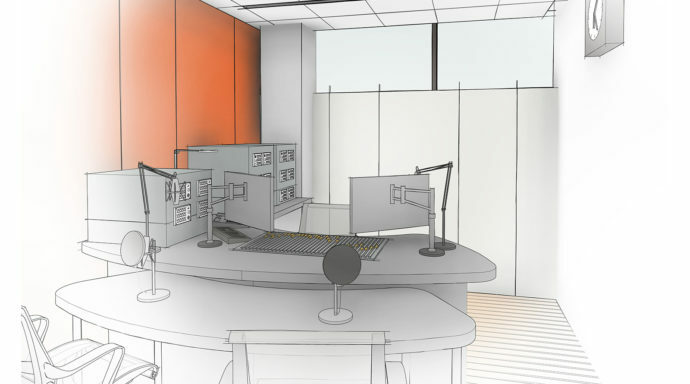 The expanded 89.7 NPR News will be home to enhanced local journalism including digital and video news production. 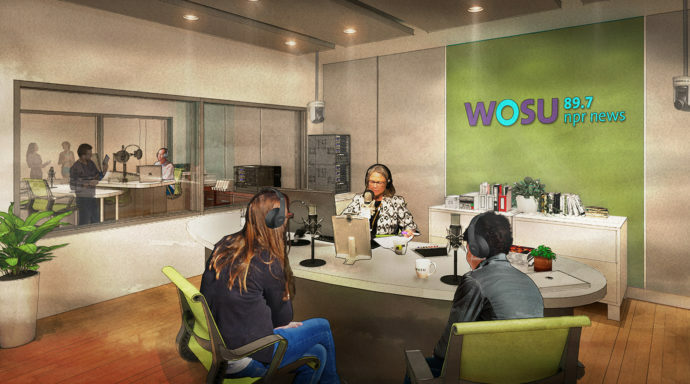 On-air radio talk studio for the production of WOSU’s daily talk program, All Sides with Ann Fisher. 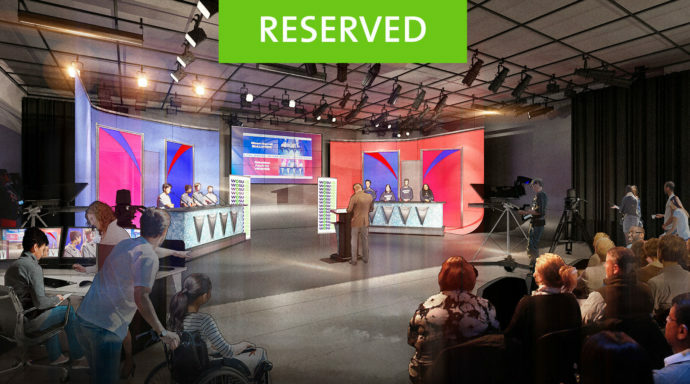 Specialized audio studio for live and recorded musical performances and roundtable discussions with cameras for TV broadcast. The 1,800 square foot outdoor piazza extending the Community Studio for a variety of community events. 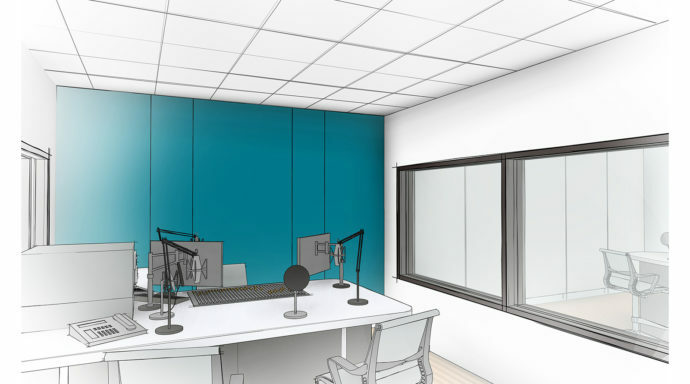 The state-of-the-art media learning space for all ages to experiment with new forms of media creation, including a podcast studio. 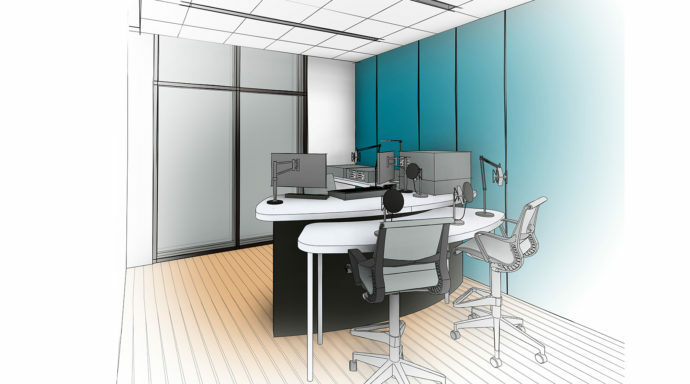 The on-air radio studio which will serve as home to daily live Classical 101 broadcasts. 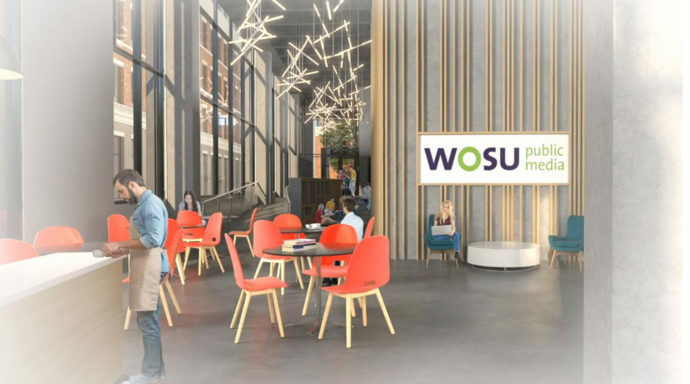 The open and transparent main entrance welcomes guests to WOSU and highlights programming, history and donor recognition. 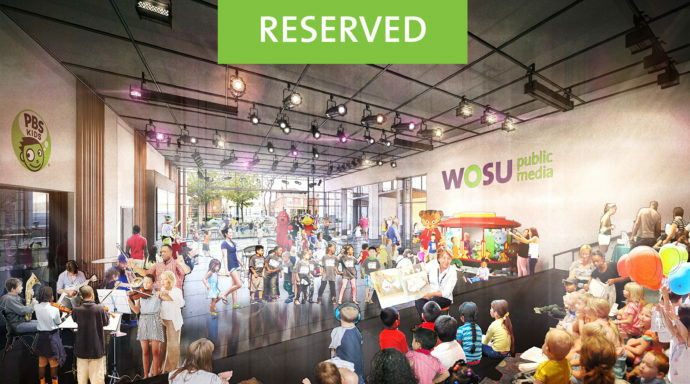 The multi-use conference space for WOSU Classroom workshops and meeting space for the Friends of WOSU Board of Directors. 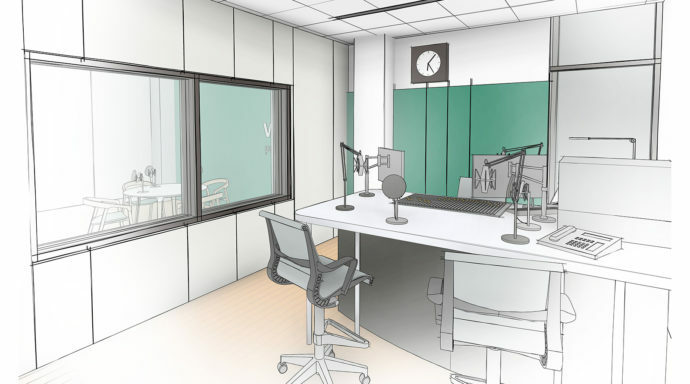 The live on-air radio broadcast studio home to 89.7 NPR News anchor updates. 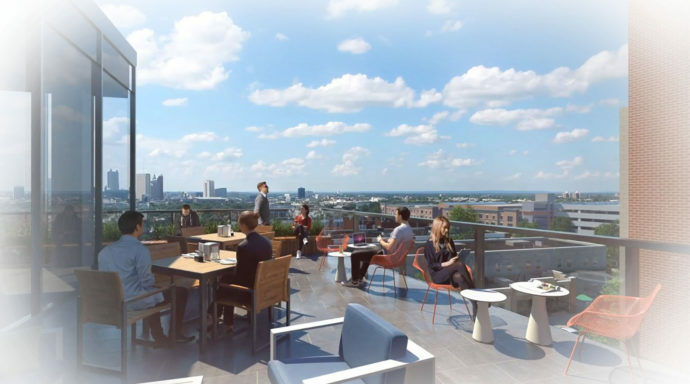 An open, outdoor terrace for small events and informal staff gatherings with view of downtown Columbus. 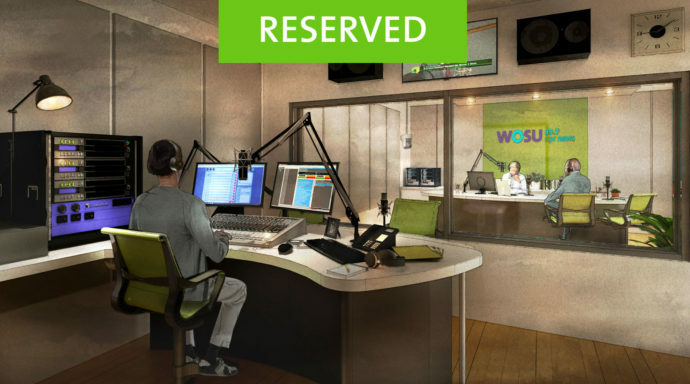 A live on-air radio broadcast studio for a variety of use. 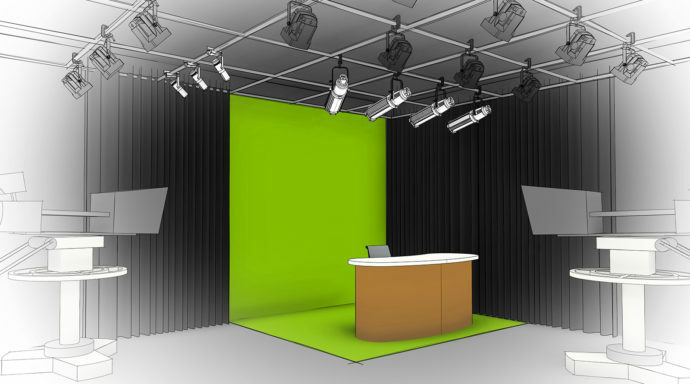 An on-air television broadcast studio for formal studio interviews and green screen productions. 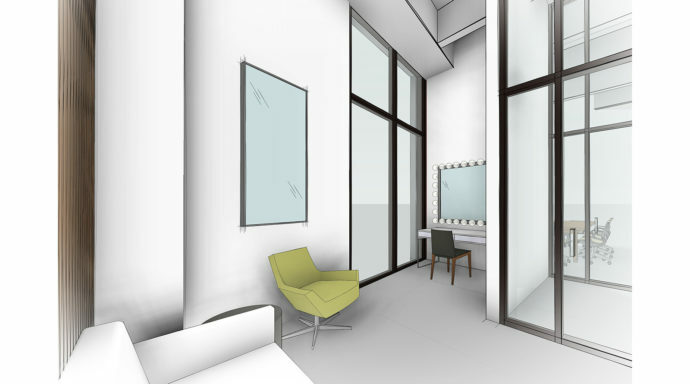 A welcoming space for guests and artists to relax and prepare for on-air interviews and performances. 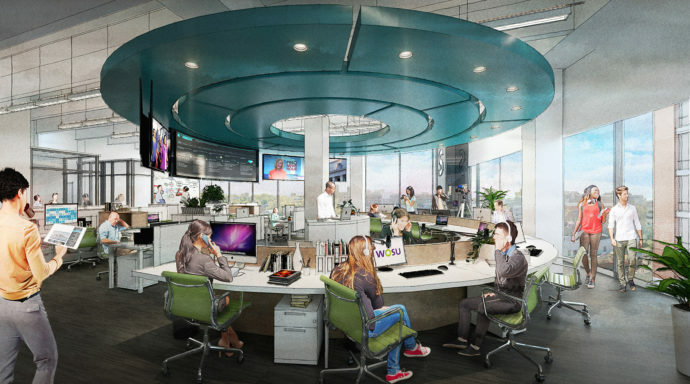 A central engineering hub housing all WOSU television and radio technical operations equipment. 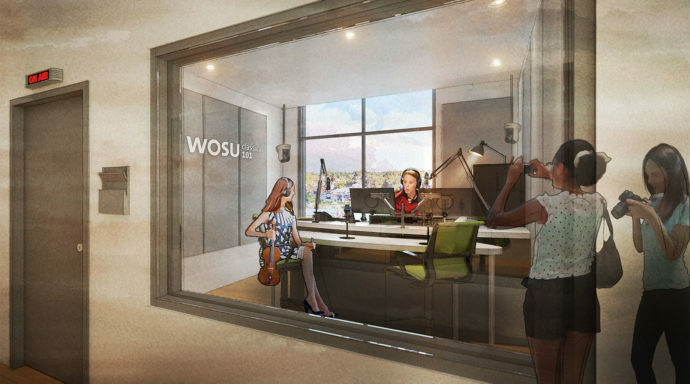 The home to historical broadcast content of WOSU TV and Classical 101’s music library. 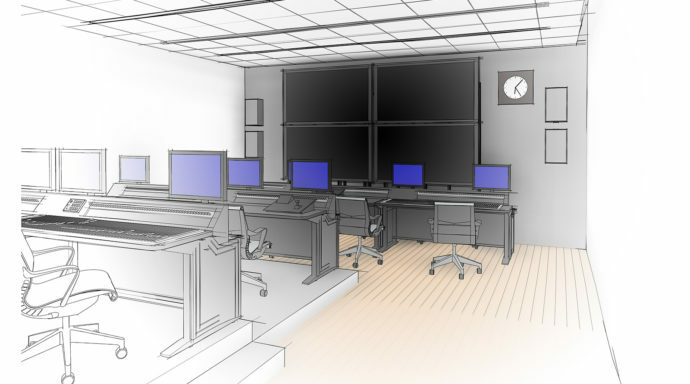 Video control room to provide support for TV Studio A. 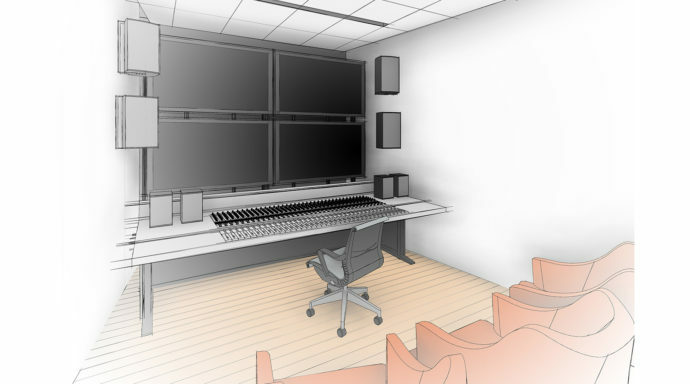 Audio control room to provide support for TV Studios A and B. 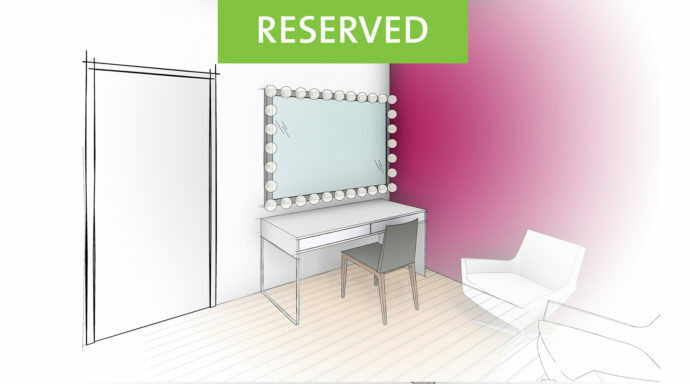 Video control room to provide support for TV Studio B.
Welcoming space for guests and artists to relax and prepare for events in the Community Studio. 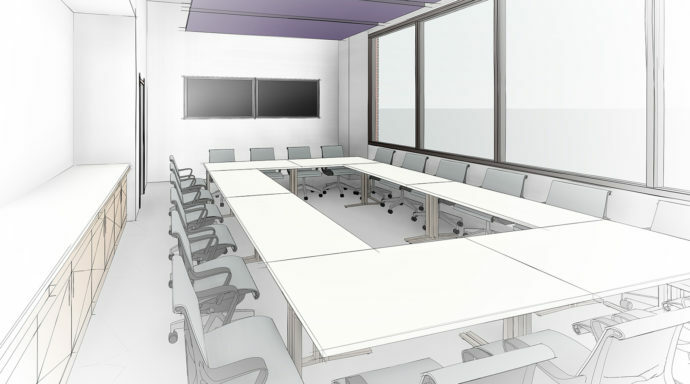 Private meeting space allowing for collaborative work on shared projects and meetings. 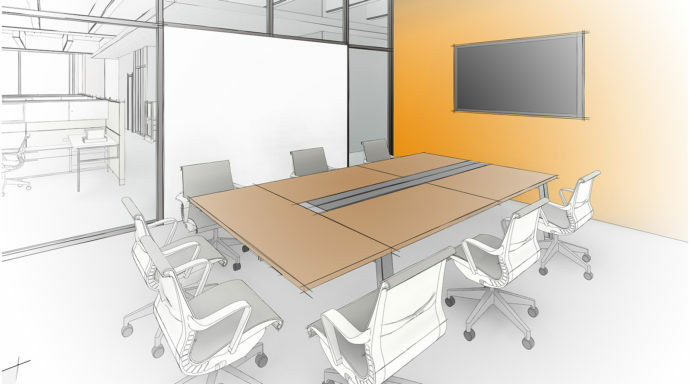 An open space allowing groups of different sizes to congregate on shared projects and hold meetings. 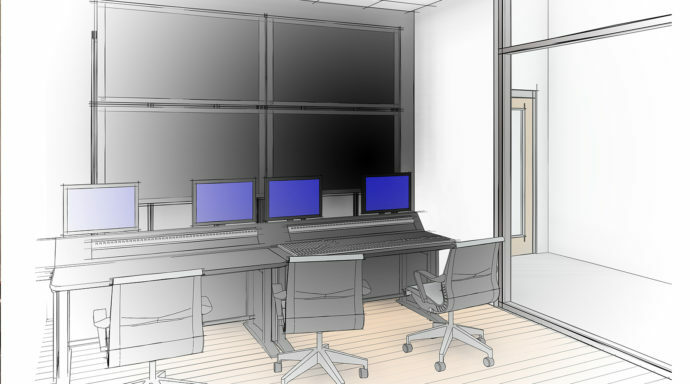 The audio and video control room to support all events within the Community Studio. 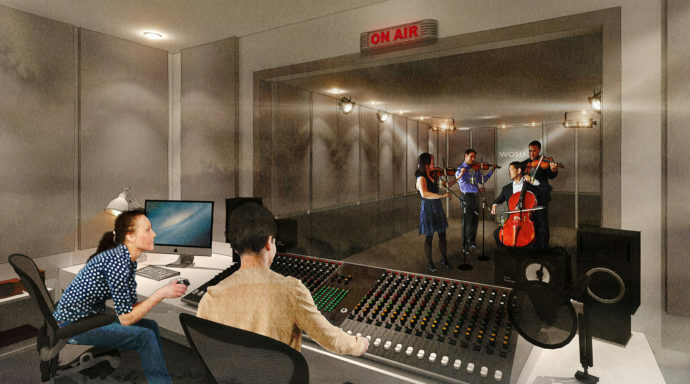 High end audio control room providing support for the on-air Performance Studio. 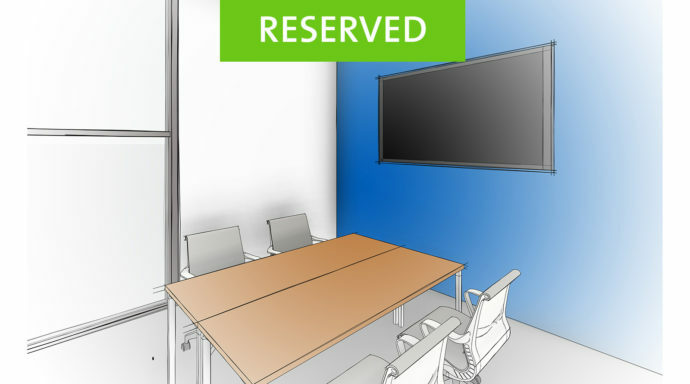 Private meeting space allowing for small team collaborative work on shared projects and meetings. 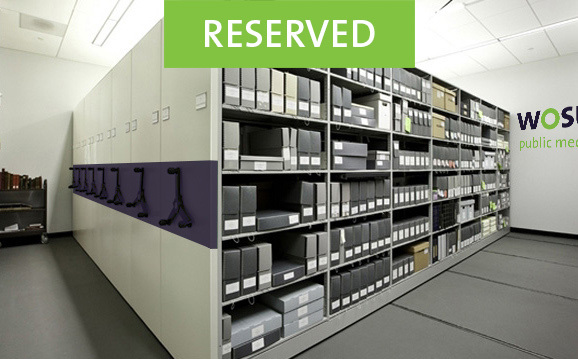 Large space to master documentary, video magazine programming and WOSU Productions work. 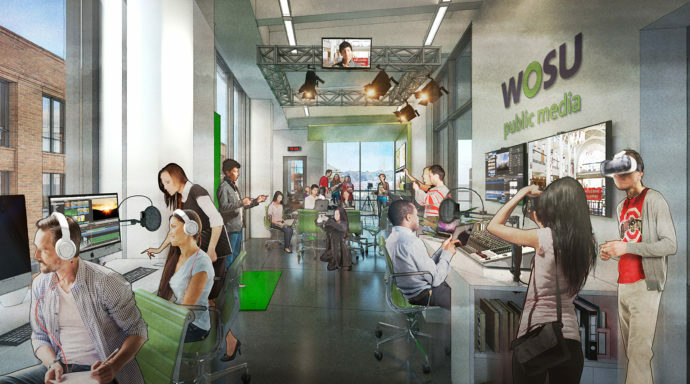 A broadcast studio for on-air production. 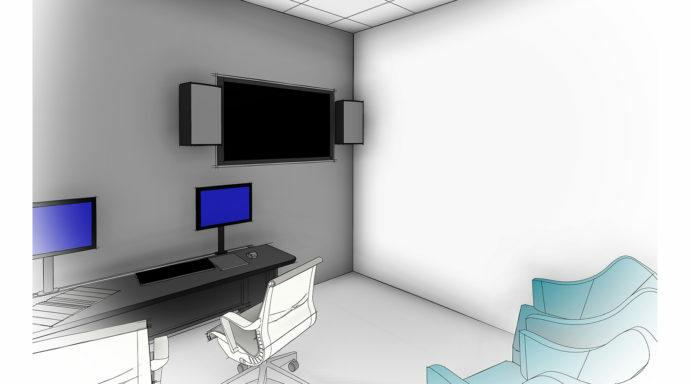 State-of-the-art editing space for original programming and features. Control space to answer calls for daily talk program, All Sides with Ann Fisher. 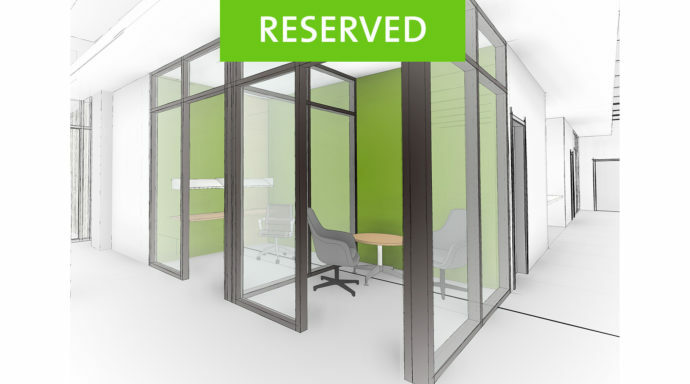 A small workstation space for private meetings or phone conversations.